Vietnam’s textile & garment export industry has once again performed well. The sector has fetched over US $ 36 billion in turnover this year, marking an improvement of 16.01 percent against the previous year. This was reportedly revealed by Vietnam Textiles and Apparel Association (VITAS) Chairman Vu Duc Giang. 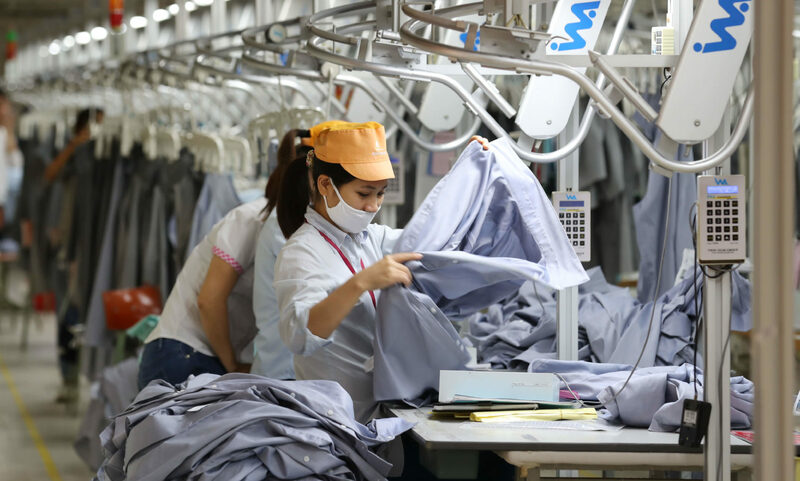 Markedly, this is the maximum rise in the past three years that Vietnam garment exports have witnessed compared to 12.1 percent surge in 2015, 4.07 percent in 2016 and 10.8 percent in 2017. Le Tien Truong, General Director, Vietnam National Textiles and Garment Group (Vinatex) has stated that the garment articles export turnover settled at US $ 28.78 billion for the year, up by 14.45 percent over 2017.The fabric export fetched US $ 1.66 billion, up by 25.5 percent. Meanwhile, yarn export reached US $ 3.95 billion, up by 9.9 percent. Additionally, the garment sector registered trade surplus of US $ 17.86 billion all through the year, recording an increase of 14.39 percent. Truong credited the income surge to the shift of manufacturing units from China to Vietnam. Foreign investment has also increased in Vietnam. As per VITAS, US $ 15.9 billion worth of FDI was received for over 2,000 textile and garment projects in the country last year. In the first half of the current year, the garment and textile industry had fetched US $ 2.8 billion more in FDI. Additionally, it is being observed that once CPTPP and the EU-Vietnam FTA come into force, investments in the textile and garment industry will increase further. Now, the target for export turnover has been set at US $ 40 billion for 2019, with trade surplus at US $ 20 billion.